“Spend your way to prosperity”, didn’t work then, doesn’t work now! 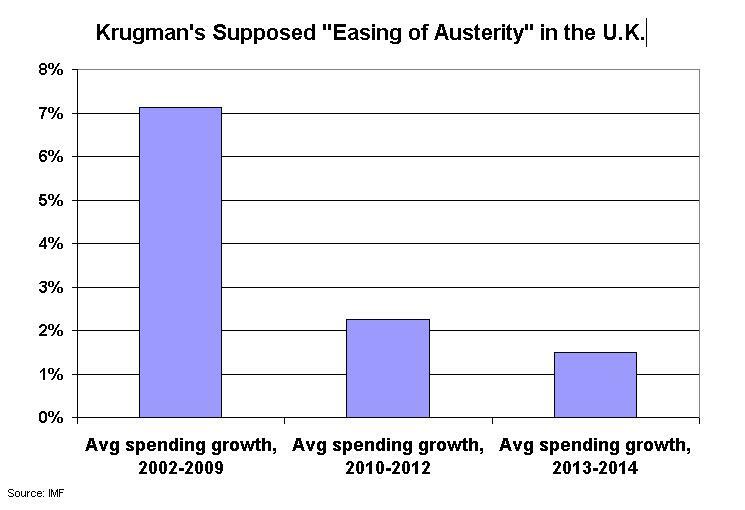 Don’t ever feel sorry for Krugman. He’s just a cheap liar. He’ll get what’s coming to him some day–exposure. Krugman talks about full employment, which results from war situations. You push the envelope, claim he’s talking about the war being good, instead. You probably share our host’s concern that the Obama inflation has seriously destroyed our currency. “Oh! What A Lovely War! It seems almost in bad taste to talk about dollars and cents after an act of mass murder. Nonetheless, we must ask about the economic aftershocks from Tuesday’s horror. 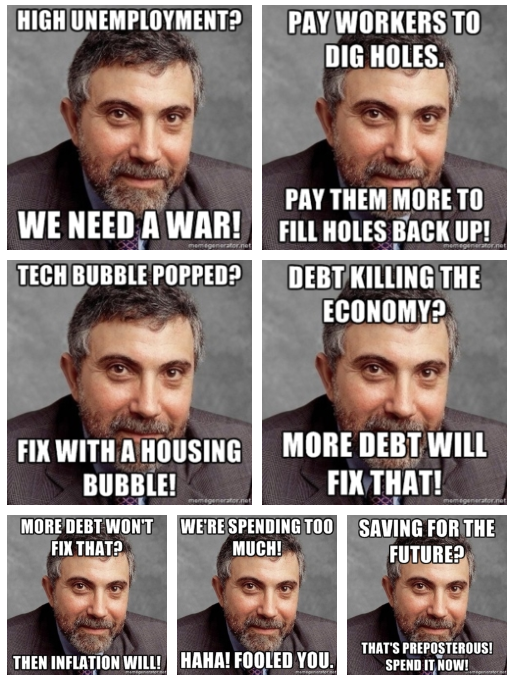 You cannot possibly say that Krugman has not REPEATEDLY claimed that war is good for the economy. I’m not saying that he supports every war or that he wouldn’t prefer other means of stimulus or destruction but his record on the economic benefit of war is crystal clear. More importantly, he is a very influential Ivy League professor and the many students under his influence are taught to believe in the benefits of war. 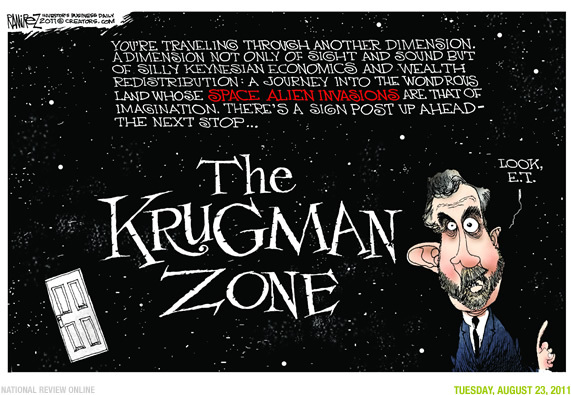 Ed Darrell, here’s a link to Krugman’s blog touting war as an economic elixir. Nothing like that appears in that post from Krugman. I repeat my concern: Half the charges against Krugman can’t be documented in any way. I now suspect the other half involve astonishing strip quoting of Krugman to try to make his words fit. If you read that piece, you can’t find Krugman saying war is a good economic idea. I suppose that won’t stop anyone from making the claim, though. Did you realize that all the information in the IMF data you are citing is estimated after 2011? Also, OMB data only goes until 2013. Krugman’s entire point is about 2014 so the data is not really applicable. And the OECD data is percent of GDP. Since we want to see the change in government expenditures it would be much more accurate to look at real government expenditures year over year since it wouldn’t be impacted by the GDP growth rate. 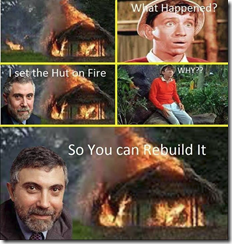 Krugman’s ideology so thoroughly colors everything he says or writes that he is just not believable. He must have been able to think logically at some point in the past in order to win that Nobel prize, but it sure doesn’t show. somewhere between 40 and 50 million people died in the second world war…. how does any thoughtful moral human being justify that in terms of economic gain? It’s also funny that this post was praising Abe’s handing of the economy in May of 2013. I don’t think Krugman is going to mention that post very often. LOL. 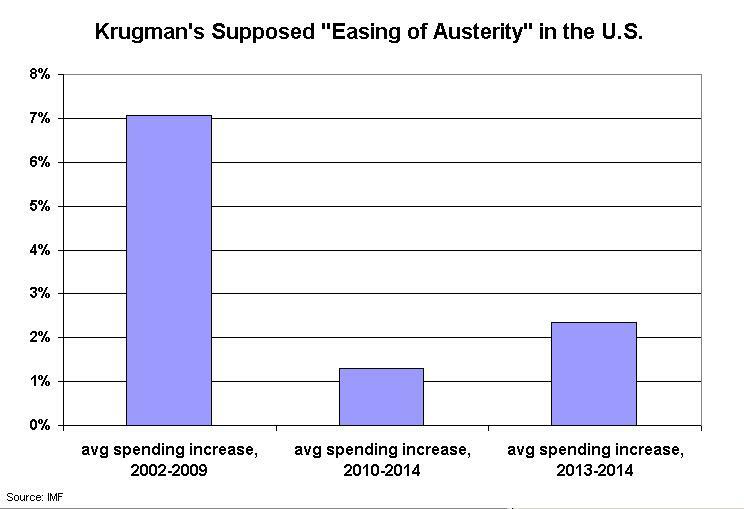 I’ll wager more than half of your claims against Krugman cannot be documented in any way. He advocated war? That should be an easy link to provide, if there were any truth to it. He stumbled on the Hazlitt error, thinking destruction is good? Were Krugman’s economics in error, you wouldn’t have to make up such fantastic straw men to punch yourself, would you? It’s troubling that many of your readers won’t challenge your bizarre miscompilations of things that are not.